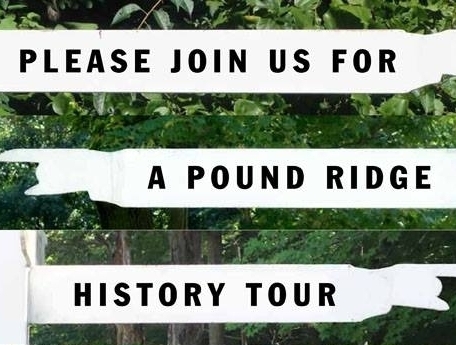 many history tours of Pound Ridge. More recently, in July 2018, we held three history bus tours of Pound Ridge. Each hour-long tour gave participants a chance to learn more about Pound Ridge history and also the rare opportunity to peek inside one of the town’s oldest houses. A reception and viewing of the museum’s permanent exhibit about town history concluded the tour. We will be scheduling additional bus tours in the Spring of 2019.